Spending time at the beach is a favourite past time of most Australians, and immediately makes us think of relaxation, fun, and quality time with friends and family. Unfortunately, as you are of course aware, this time can be cut short due to the dangers of the sun, including sunburn and sunstroke. Beach shelters are a very practical solution to deal with sun, as their tent-like structure provides superior shade and protection compared to traditional beach umbrellas. They are also great for keeping sand away from bags, food, and other valuables. However, buying a beach shelter isn’t the easiest task in the world. 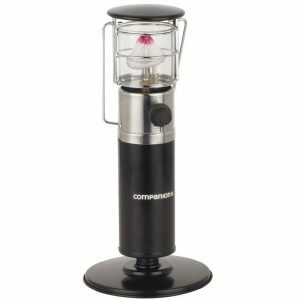 There’s a huge range of options on the market and it’s easy to waste your money on something that is inconvenient to put up and take down or will fall apart after a few trips to the beach. 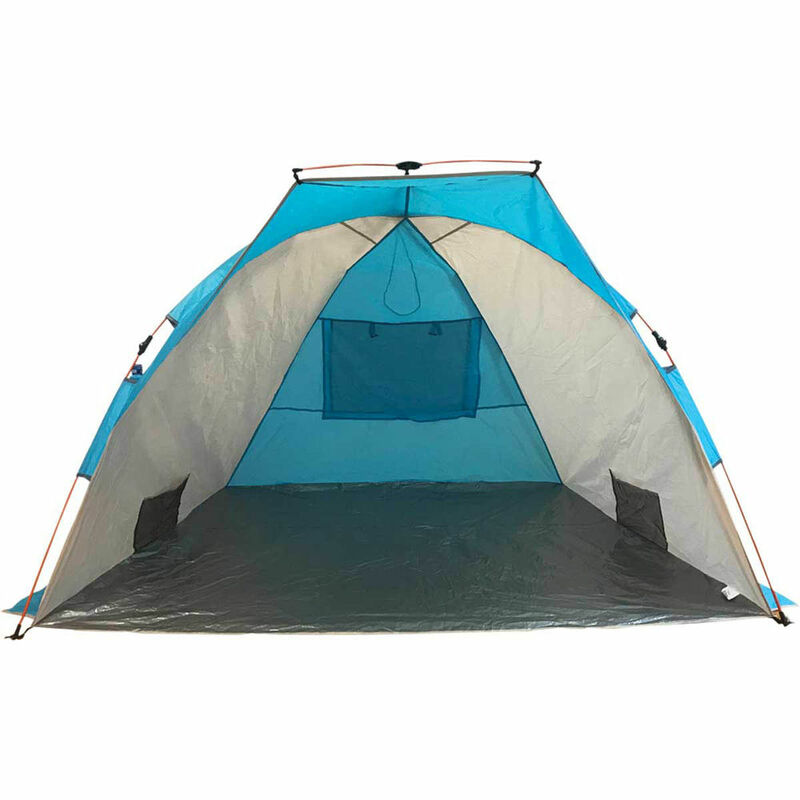 To assist you in your search for the perfect beach tent, below we review the most popular and durable options on the market and conclude the Wanderer Torquay Beach Shelter provides the best overall package in terms of ease of use, quality, and value. Fabric material – Manufacturers use a variety of materials in the construction of beach shelters. The best sun protection and durability tend to come from more heavy-duty materials like polyester. Design – Some beach tents have a canopy like structure while others are more like a tent you’d take camping. 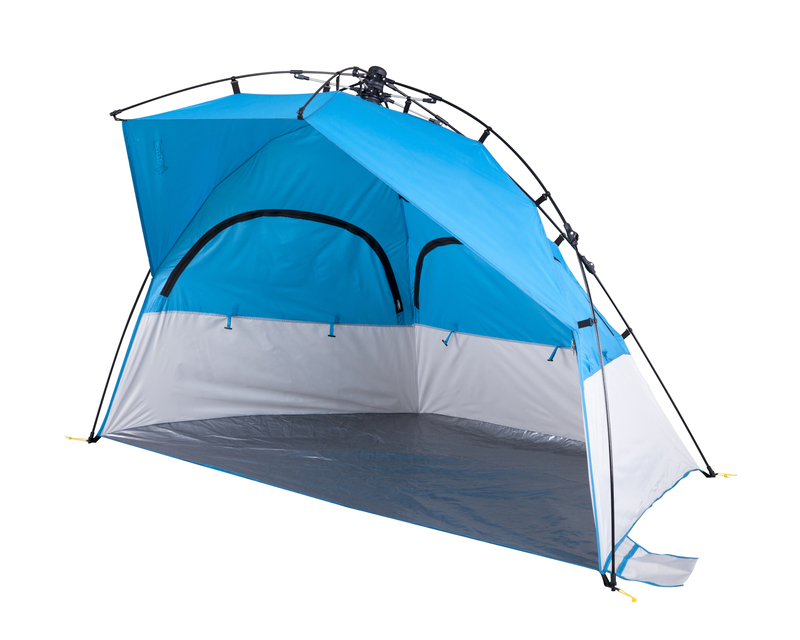 In general, those that resemble a tent are better for sun protection due to their fully enclosed walls and therefore increased shade. 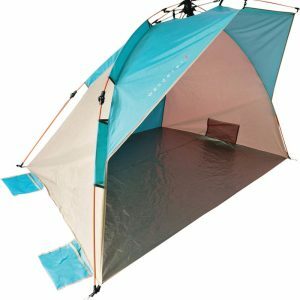 Set-up – Let’s be honest, the last thing you want is a beach shelter that takes ages to assemble. You want something that pops up quickly so that you can sit down and relax. 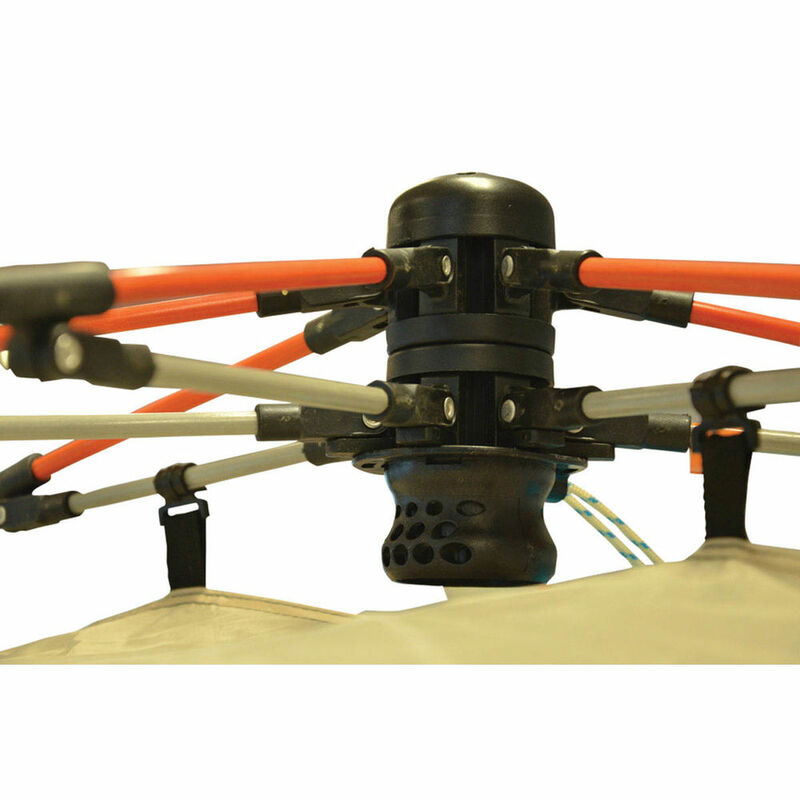 While some beach shelters are easy to install, others are incredibly complicated - we take this into account in our reviews below. Durability – Logically, beach shelters are located outside and they need to be able to withstand wind, rain, and sun. Given they are exposed to the elements, cheap products often break and tear. Durability is, therefore, a very important thing to look for. UV protection – Since you’re buying a beach shelter, make sure it comes with solid UV protection that prevents the sun’s rays from damaging your skin. Price – Fortunately beach shelters come at a variety of prices to suit all budgets. Unfortunately, “you get what you pay for” doesn’t always apply here. Some expensive beach shelters don’t deserve their price tag while some affordable ones have excellent quality. Wanderer produces several varieties of beach shelters and it’s needless to say they’re some of the most popular products on the market due to their high-quality materials and structure and their affordability. The Torquay Beach Shelter resembles a regular tent thus allowing you and your family to get better sun and wind protection. It has a bright design comprising of blue, grey, and white colours and importantly is made from 185T polyester with UPF 50+. Not only is it made of heavy duty polyester that ensures durability, but it also “fends off” sun’s harmful UV rays thus preventing them from harming your skin. What we find great about the Wanderer Torquay Beach Shelter is its ease of use. 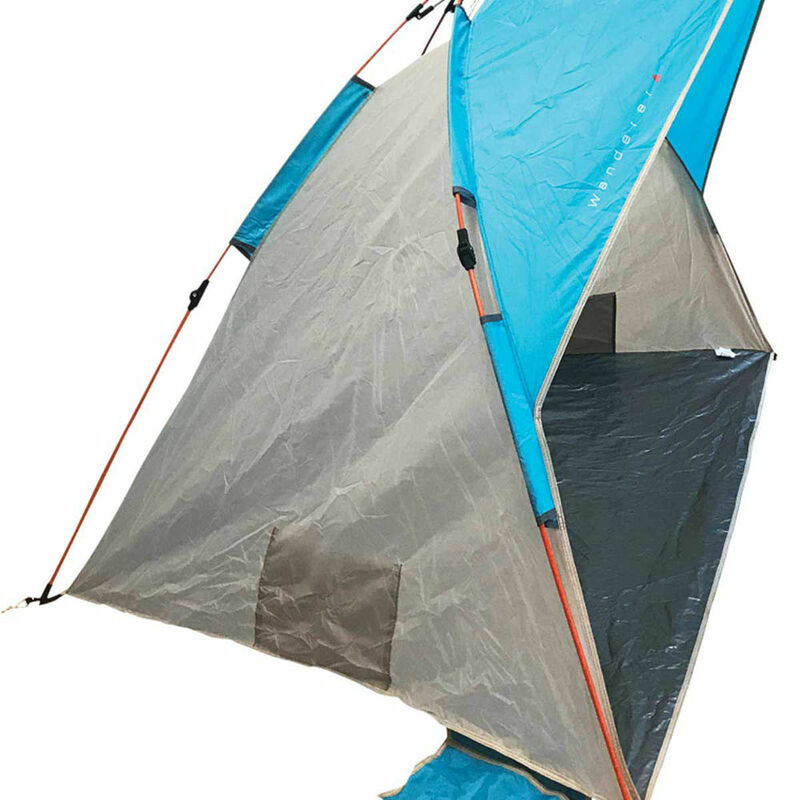 Thanks to the instant fiberglass frame, installing this tent is very simple and can be done in a matter of minutes. Stability is ensured with sand pockets located at front corners. 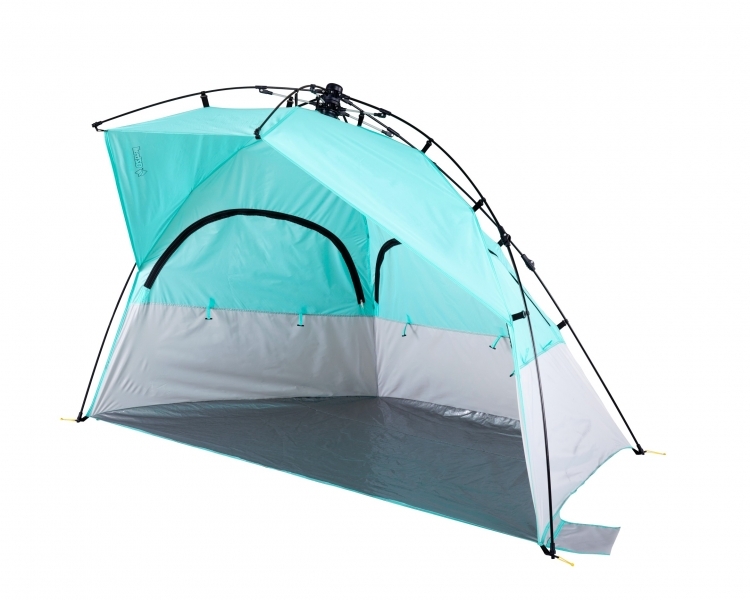 OZtrail is one of the most popular outdoor companies in Australia and included in their range is a great lineup of beach shelters. Their Terra Beach Dome is a large, high-quality beach shelter that allows a family or a group of friends to enjoy each others company on the beach while getting much-needed protection. 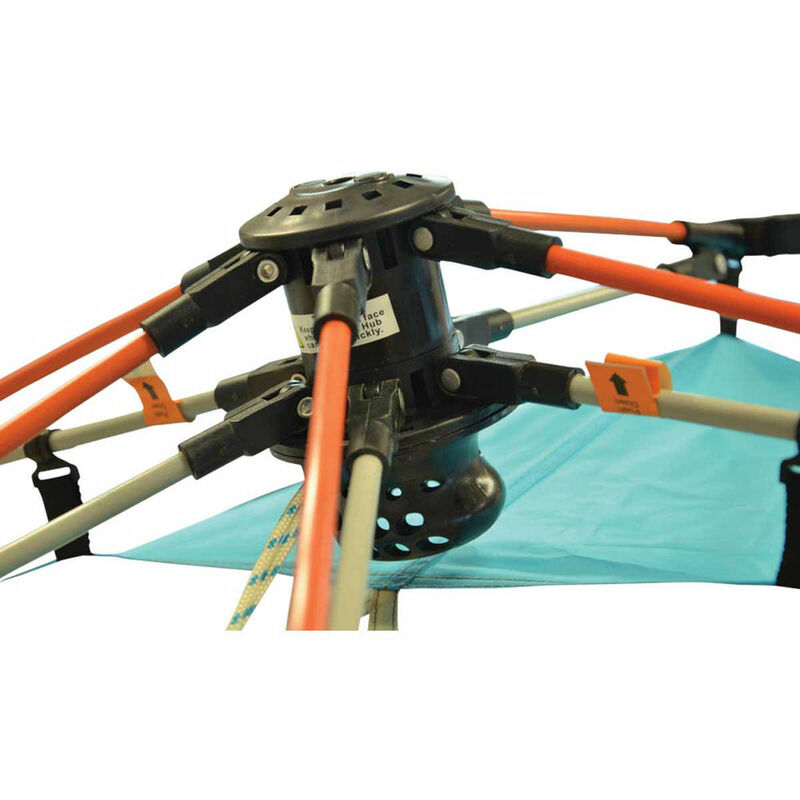 The pull-to-erect frame system makes installation easy and stability is provided by integrated sand pockets, meaning you won’t have to chase your shelter down the beach after a gust of wind. 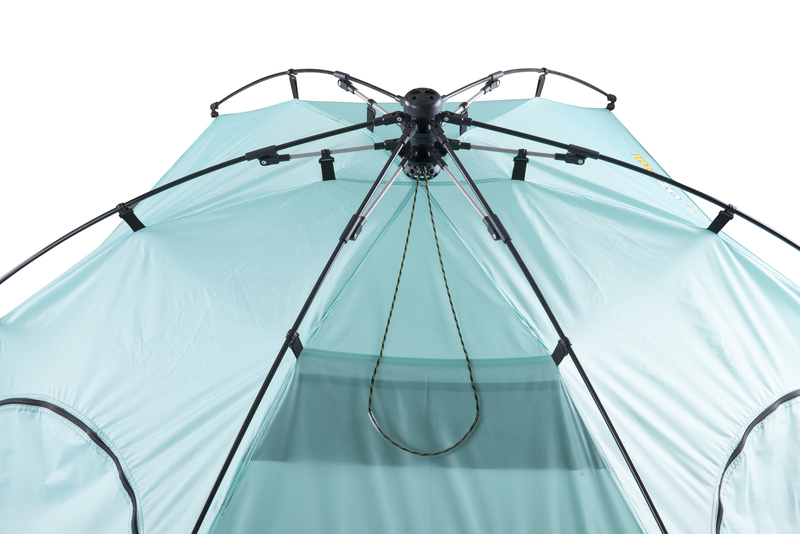 The dome comes with UPF50+ fabric and large awning for additional shade with an unencumbered view. If you need some privacy, you can just use the zipper to close up the front. 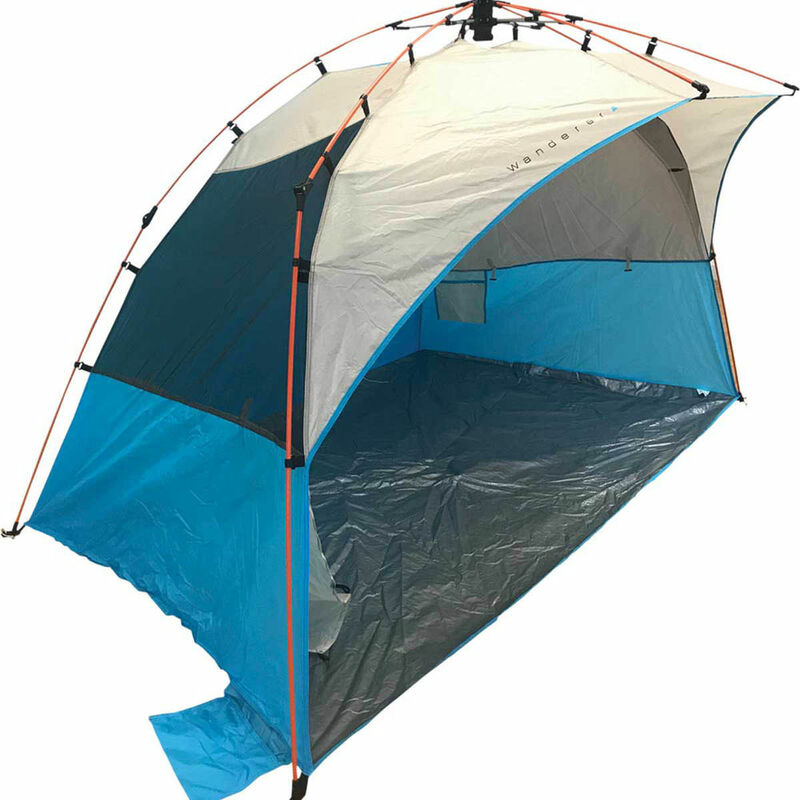 OZtrail have also included roof mesh pockets into their beach shelter providing a concealed spot to keep your valuables, not to mention keeping them away from sand and water. This beach shelter also comes with a handy carry bag. 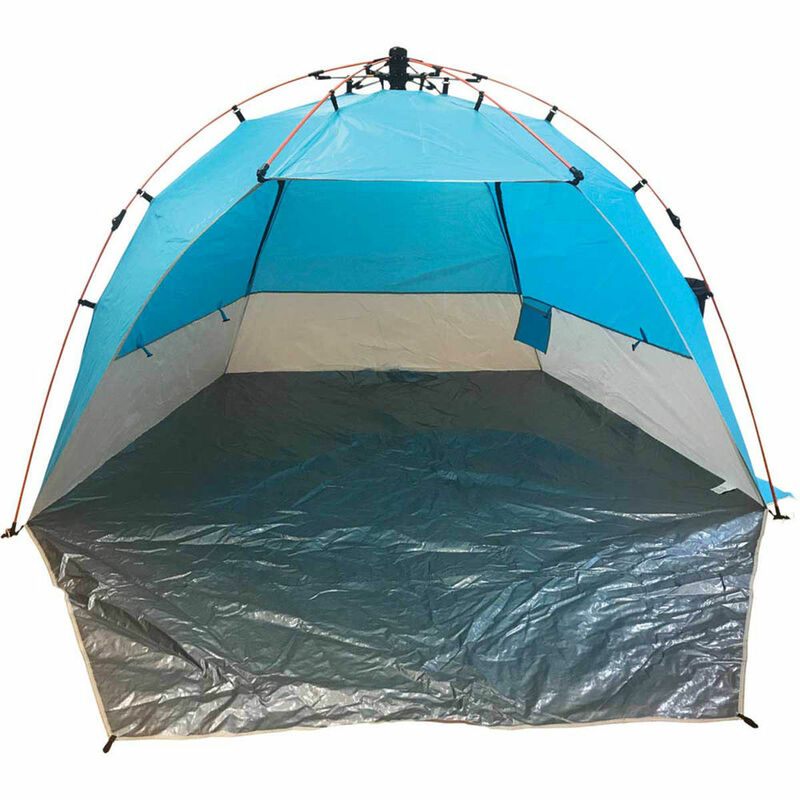 At a slightly higher price point than the Wanderer Torquay, The Wanderer Kingscliffe Beach Shelter also has a tent-like design featuring a combination of blue and grey.You’ll be happy to know that the beach shelter is water-resistant and provides UPF50+ protection. 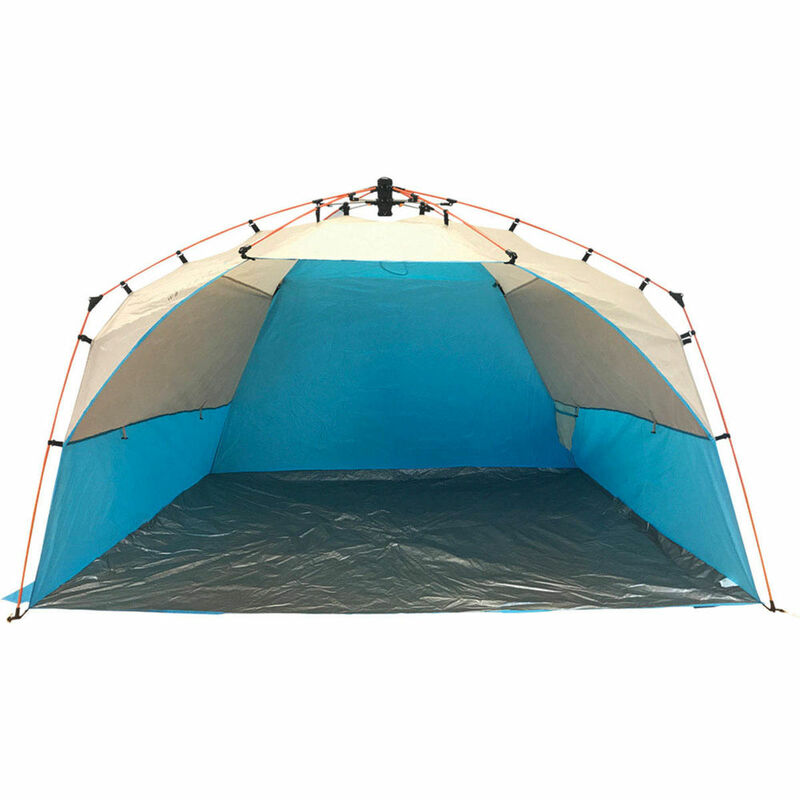 Thanks to 185T polyester, the beach shelter is durable and strong enough to protect you from whatever elements you are likely to encounter at the beach. Setup is fairly straightforward and very similar to that of the Torquay Shelter. The frame here is fibreglass also. 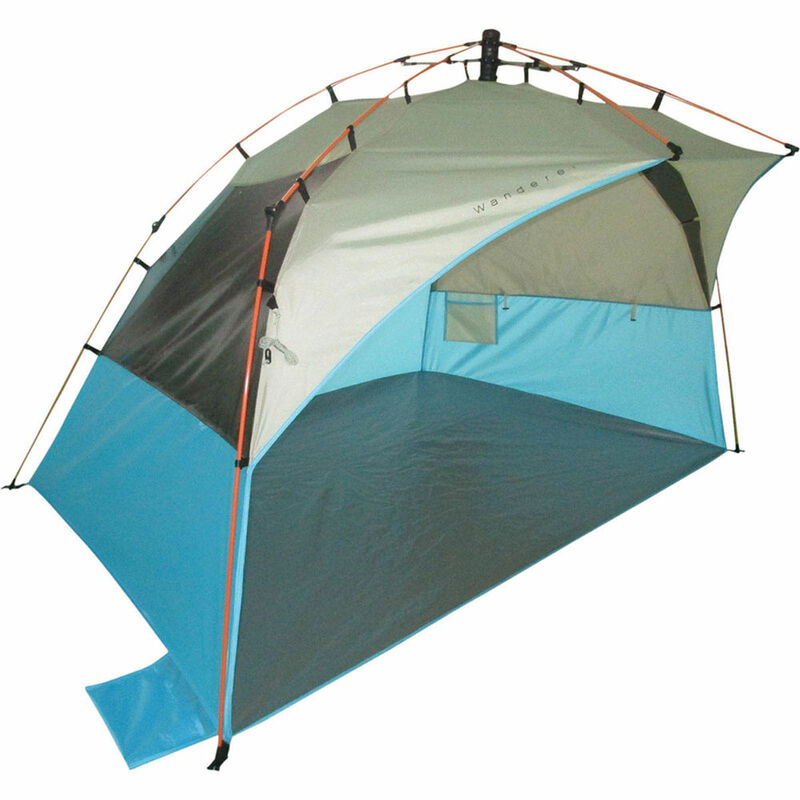 OZtrail Multi Shade 6 can fit up to 6 people, hence the name. This is the largest beach tent we review and therefore a great option for bigger groups of families. Despite its size, the beach shelter comes at a convenient price point and contains a range of great features. Although UPF info isn’t available, Oztrail state the Multi shade is made from a silver coated UVTex Sun Tough fabric able to reject 98% of sun’s UV radiation. The cross brace construction makes this beach shelter stronger and more stable, and able to resist wind and rain. 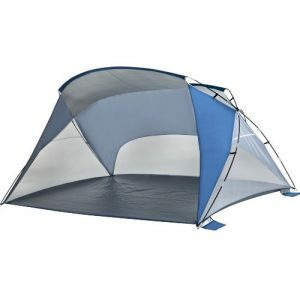 This is a durable shelter for the family looking to make an investment in their beach enjoyment. 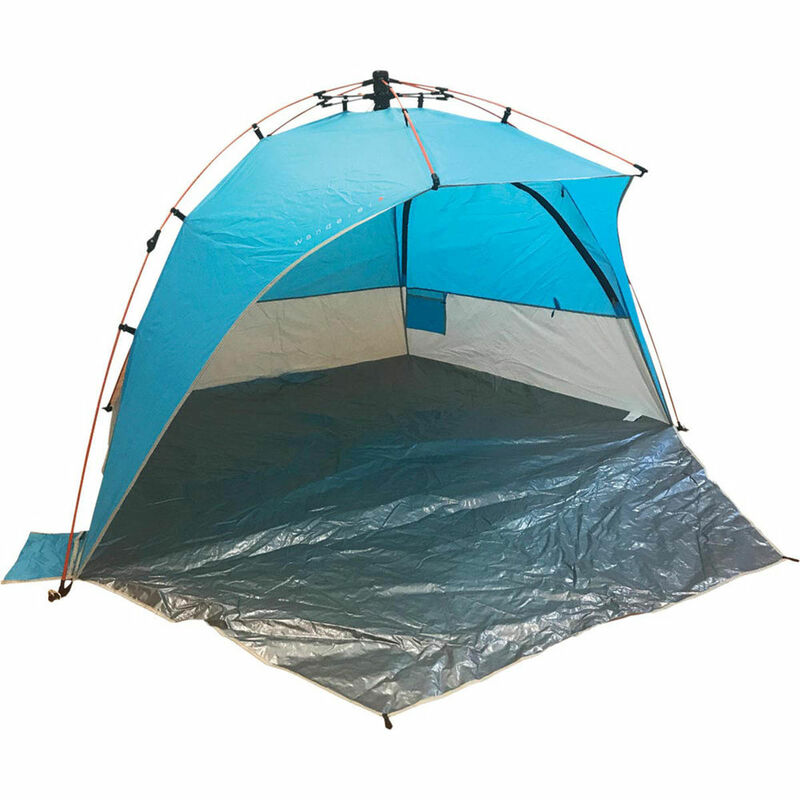 In addition, the tent comes with heavy-duty puncture-resistant floor and sand pockets for greater stability. Don’t let the price fool you, Stradbroke Beach Shelter is still a great quality shelter. Closer to the lower end of Wanderer’s range of beach shelters, this one is still made from high-quality polyester with UPF50+ protection. 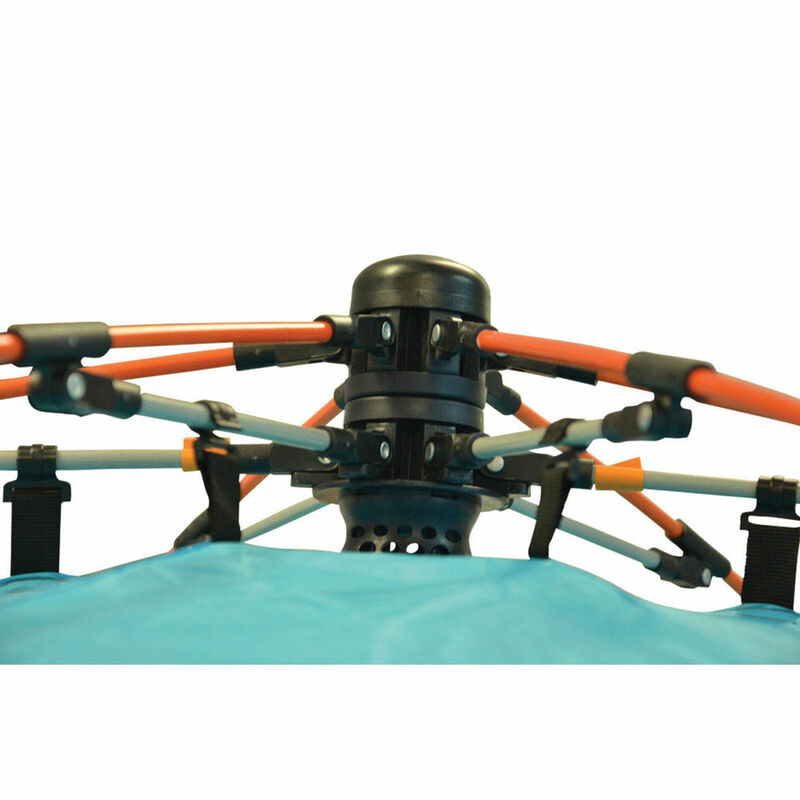 The fibreglass frame allows for easy installation and the tough PE floor should last you many summers.